Apologies, if this is in the wrong place. I'm pretty sure I saw a 'Show off your forum' thread here somewhere, but I couldn't find it anymore. Special thanks to @R_J for helping out with my specific questions, and the ones I was going to post, but someone else asked first. We're surely interested in feedback, perhaps in another discussion, about how exactly it fell short for you. Vanilla will be a huge improvement from vB 4 for your website! 😀 I like the layout of the categories and design colors. The Discord widget on the bottom is also pretty cool! > We're surely interested in feedback, perhaps in another discussion, about how exactly it fell short for you. Our usecase was a little trickier than normal, I guess. We were doing a redesign at the same time, so the data needed quite a bit of massaging before being ported over. The file Porter makes is easy to read, but not exactly friendly to edit, and it's kinda tricky to do anything that isn't a full export with it. Also, attachments didn't work at all. The best we got was a bunch of empty files and no tables. The source code was an excellent roadmap though, so it was pretty straightforward to come up with converters for stuff we dumped out of the old database. Porter did work really well for users though. So, mostly I think ours was just a trickier case than usual. I imagine it would work well, for a regular vbulletin installation, if you're planning on bringing everything over as is, and can figure out the attachments. 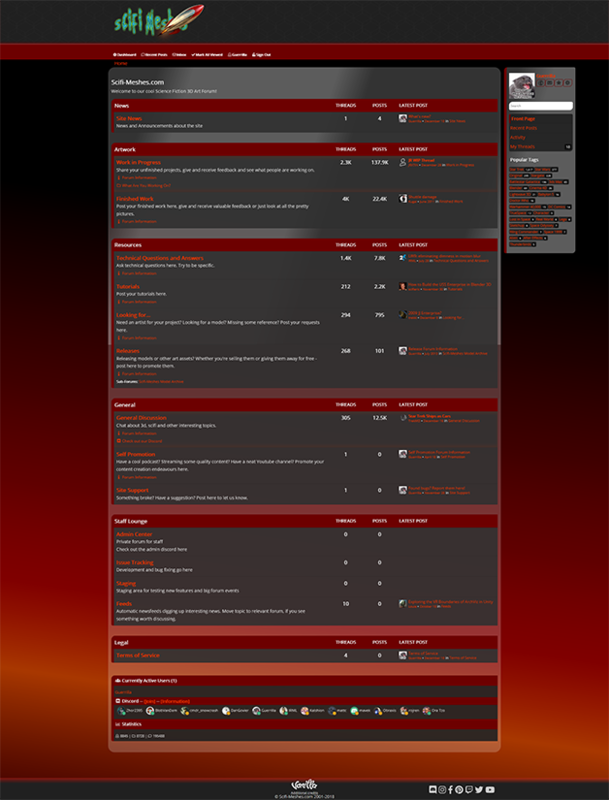 > I like the layout of the categories and design colors. The Discord widget on the bottom is also pretty cool! Thanks. 😃 The Discord widget is this one inside a Pocket. It's mainly because we were doing a redesign at the same time. All of the data was never going to be brought to the new server, and the stuff that was, needed quite a bit of massaging. The resulting file is pretty easy to read, but not really editor friendly, and getting anything except complete exports out of it was a little tricky. 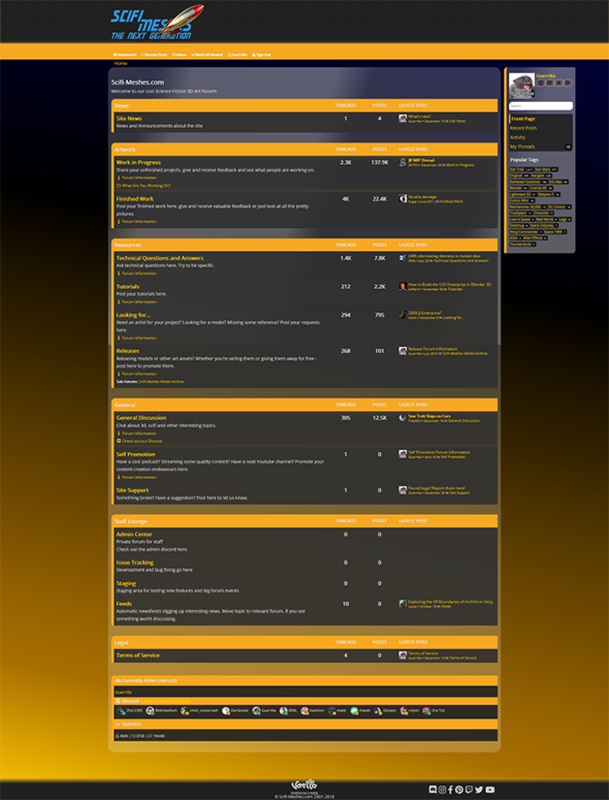 The old forum was running the whole time, so cleaning up the data for export wasn't really feasible. Also, the attachments broke it. Never managed to get more than a bunch of empty files and no tables out of it. The source code did provide an easy roadmap to follow though, so sorting out a custom migration process was pretty easy in the end. Also, Porter worked really well for exporting users. I imagine Porter would work great for a pretty standard vbulletin installation that is migrated in its entirety, if you can figure out the attachments. 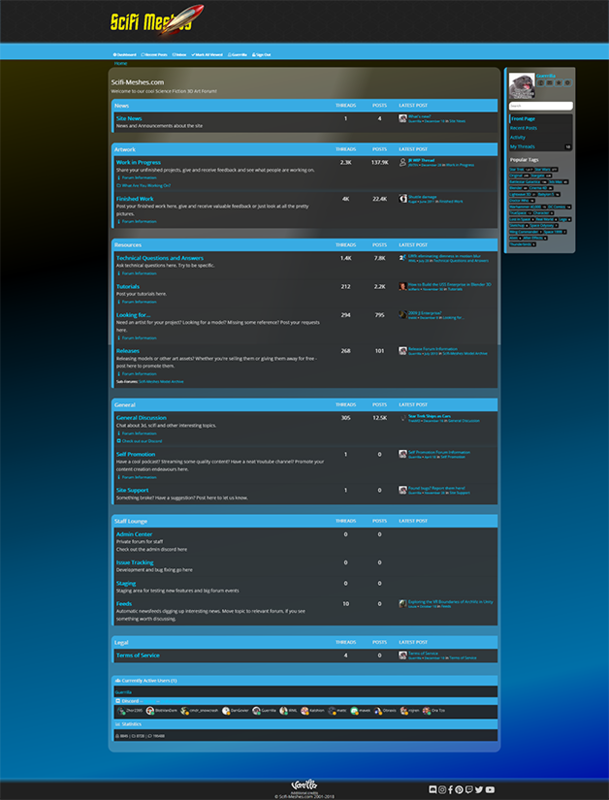 I like the layout of the categories and design colors. The Discord widget on the bottom is also pretty cool! The Discord widget is this one in a Pocket. I found that comment in the spam queue, and have restored it.